On Monday November 2nd, Swain, Birds and Bones had the incredible opportunity to visit Bungie Studios and spend the day talking with the people who create our Destiny. 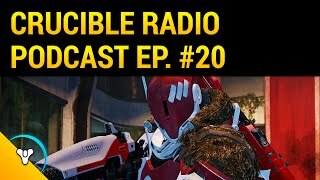 It was a fun time of making friends and eating lots of food, but in true journalistic fashion, Crucible Radio knew they’d have to return with some new information that can help us all improve in the Crucible. 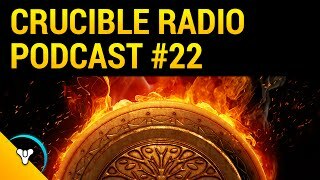 This week’s episode features on-sight field recordings of conversations with sandbox designers Sage Merrill and Jon Weisnewski, community managers Deej and Urk, gameplay designer Claude Jerome, map designers Coolie Calihan and Adam Williams, and multiplayer designer Leif Johansen.